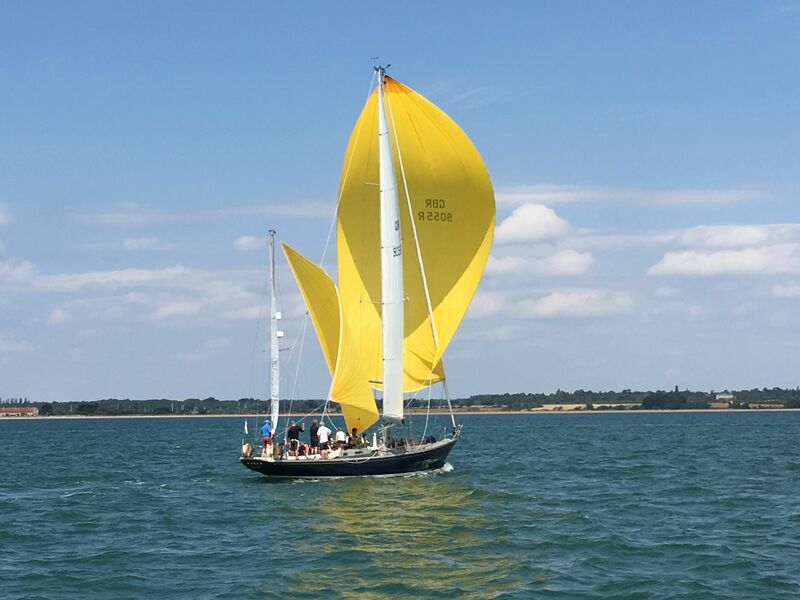 Chinook (sail number NY-48), ex Pauline, is a NY 40, one of the so-called ‘Fighting Forties’. 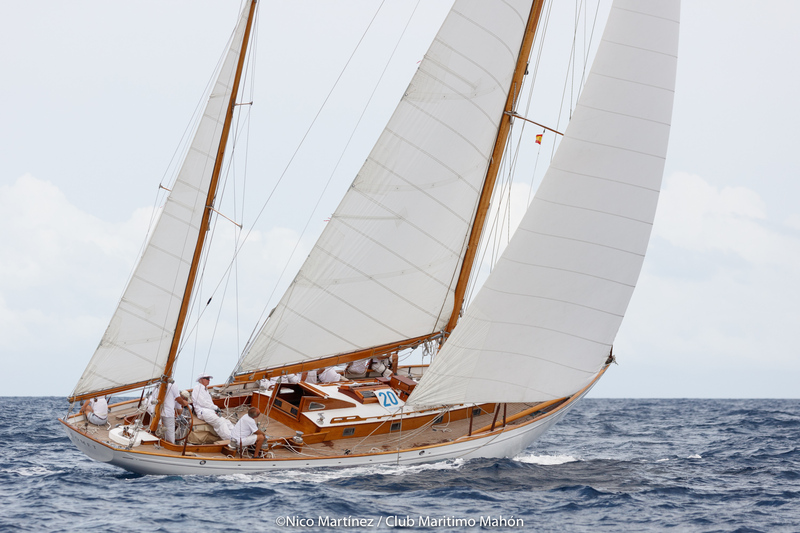 A total of 14 examples of this class were commissioned between 1916 and 1926 by members of the New York Yacht Club. 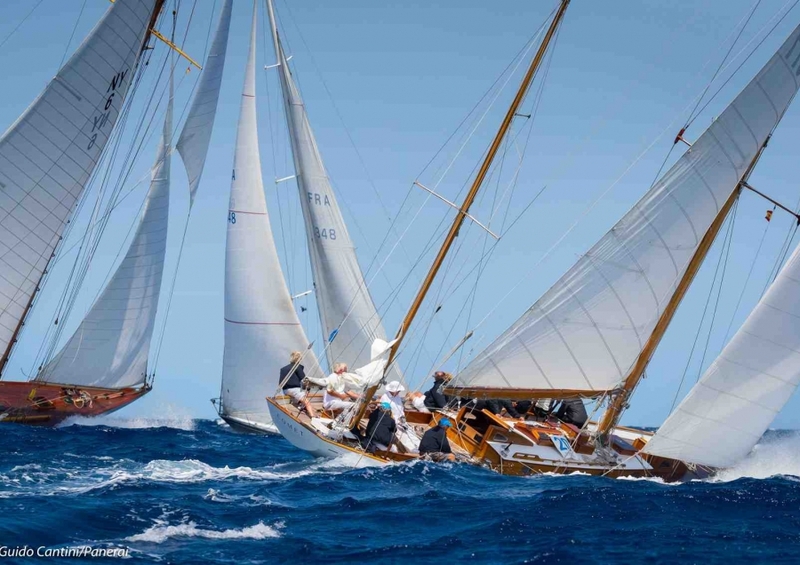 Just four are still afloat, including Rowdy (1916) and Marilee (1926). 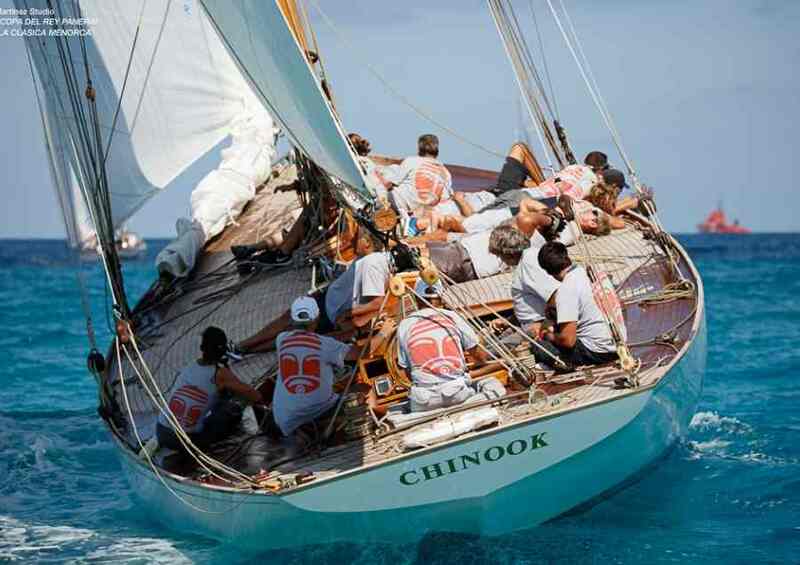 The latter and Chinook are the only gaff cutter-rigged versions. Chinook was built simultaneous to 11 other identical NY40s in just six months between 1915 and 1916. 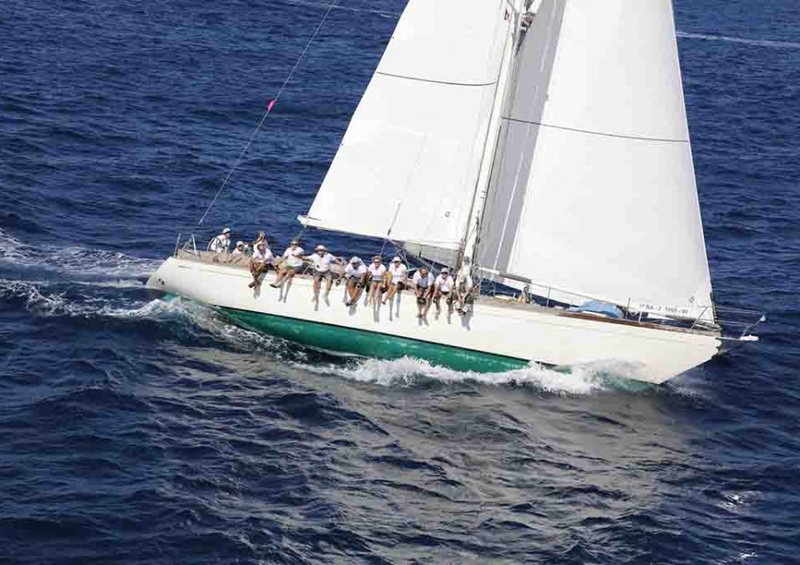 Purchased in March 2010 in Newport by Irish skipper Jonathan Greenwood and Sandra Ugolini, Chinook was cargo- shipped to Genoa and then Bizerta in Tunisia. 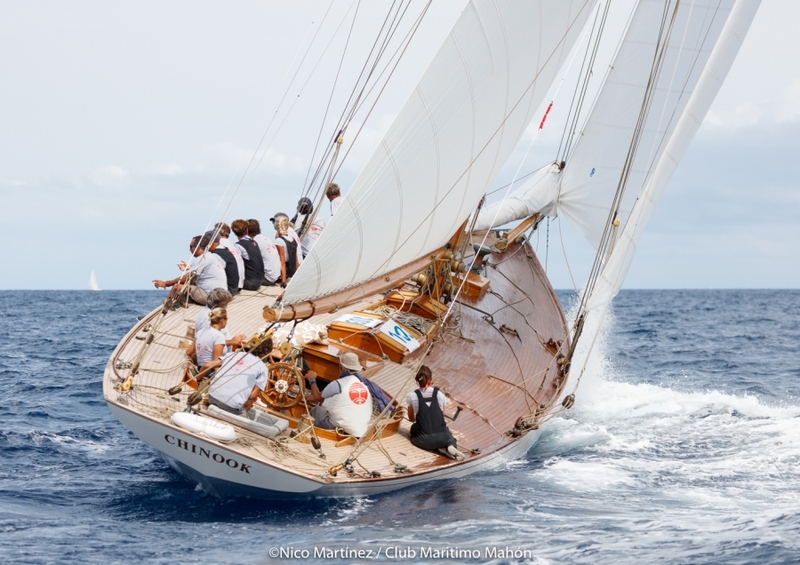 Her next owner, Graham Walker, who had already won the Trofeo Panerai on several occasions with Rowdy, sold her on to London-based Paolo Zannoni, who sailed her to victory in the Vintage category of the 2014 Trofeo Panerai. Comet’s design was inspired by Stormy Weather and Skylark both of which also emerged from the Sparkman & Stephens studio in New York. Her first owner was a Chicago-based lawyer called John P. Wilson who sailed her on the Great Lakes. 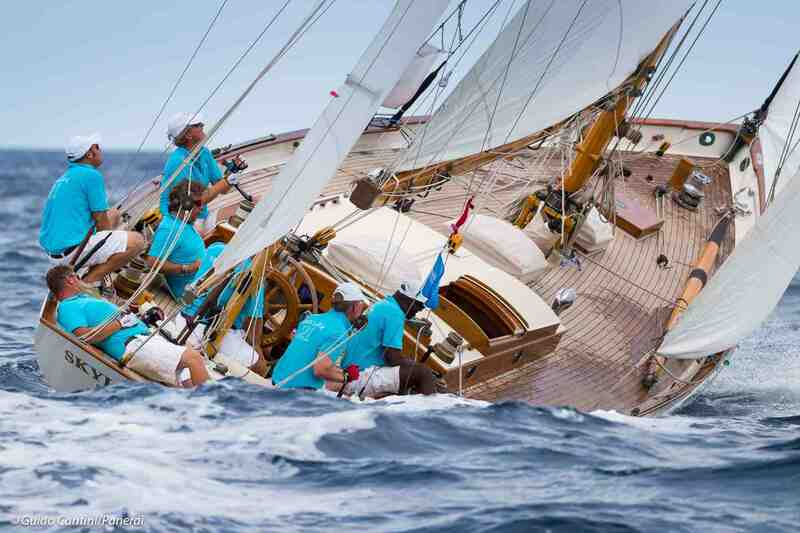 In the 1970s, however, the yawl completed a four-year round the world voyage. 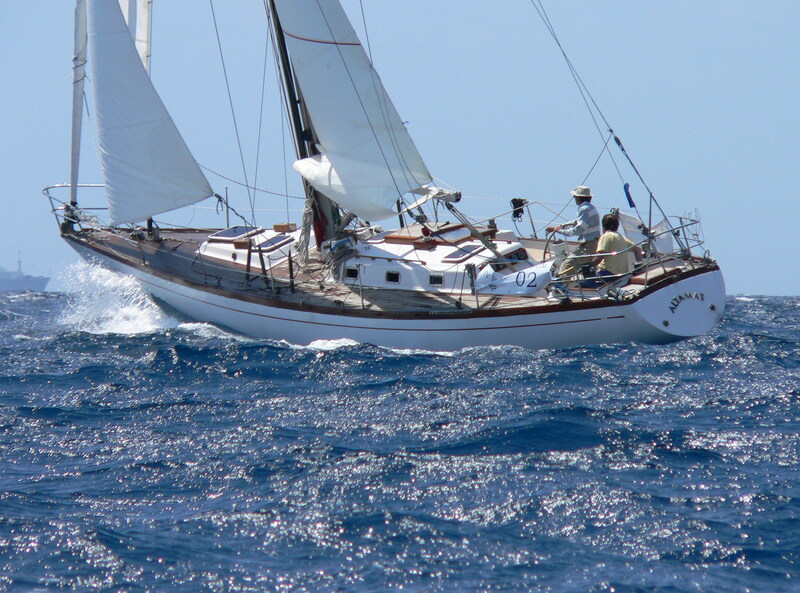 In 2002, Comet’s new owner Peter Wood had her shipped from the US to Britain. 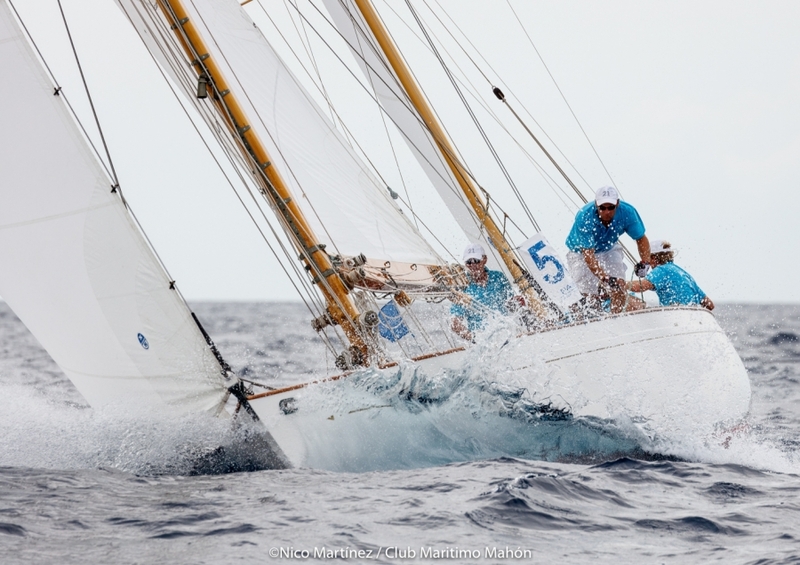 There, she was restored at the Gweek Boatyard in Cornwall in line with her original plans and renamed Cometa. 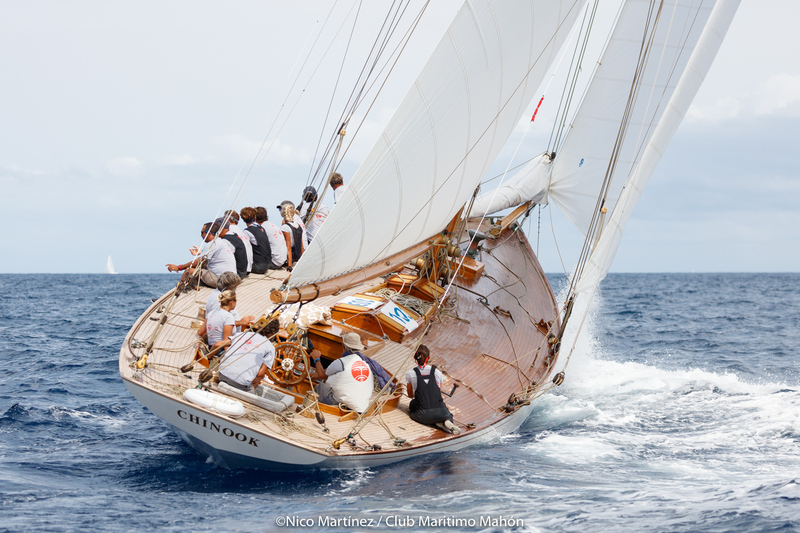 Transferred to the Mediterranean, she won the Porquerolles Classic in 2007, before being sold to a Swiss owner in 2012 who returned her to her original name of Comet. 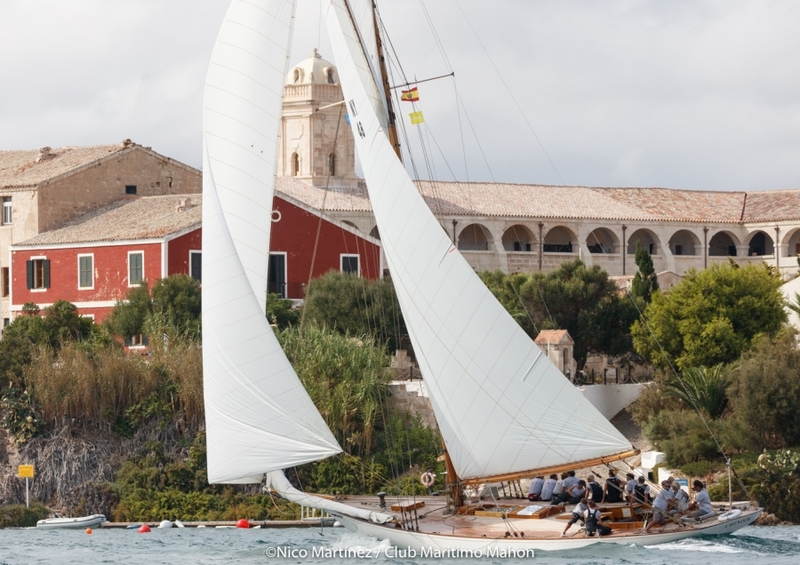 Participated in the 2013 Yawlba event on Elba island with 4 other S & S yawls. 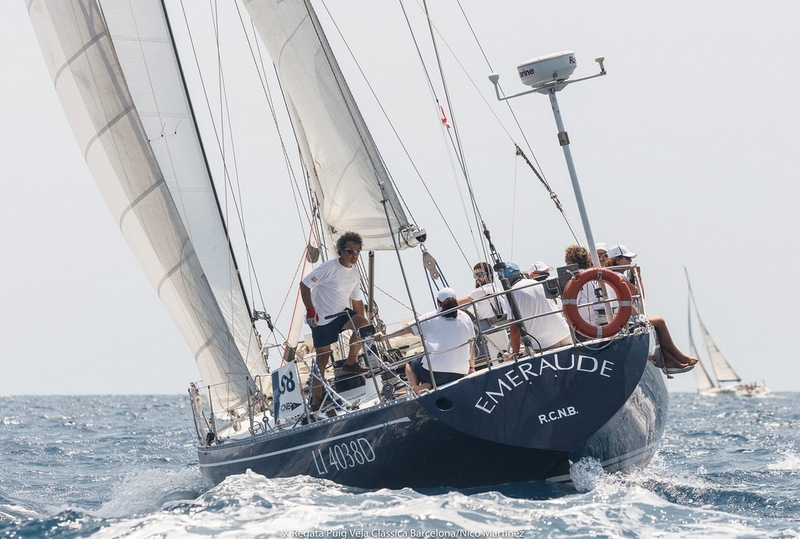 Built from aluminium, Emeraude is one of top-winning yachts in the Panerai Classic Yachts Challenge, having triumphed in the Classic category on three occasions (2006, 2007 and 2010). 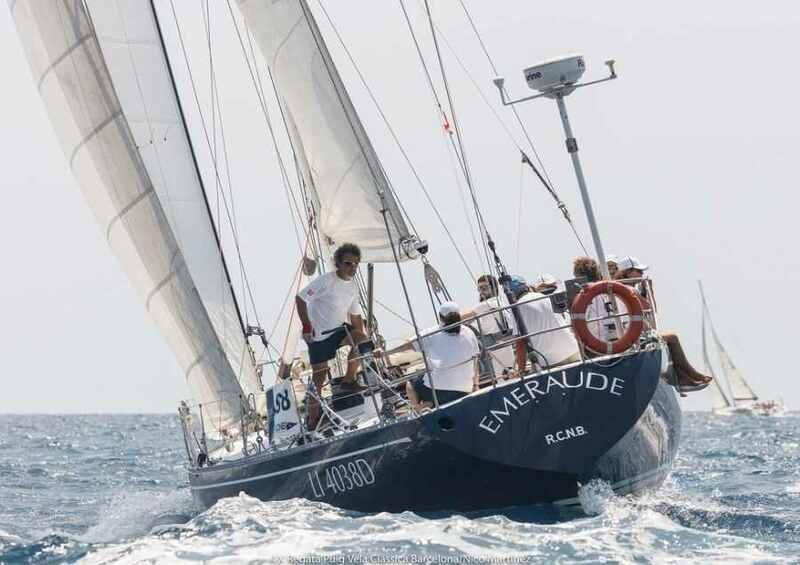 A prototype built for a French owner wanting to race in the Ior class, Emeraude has competed in both the Admiral’s Cup (1977) and the Sardinia Cup (1980). 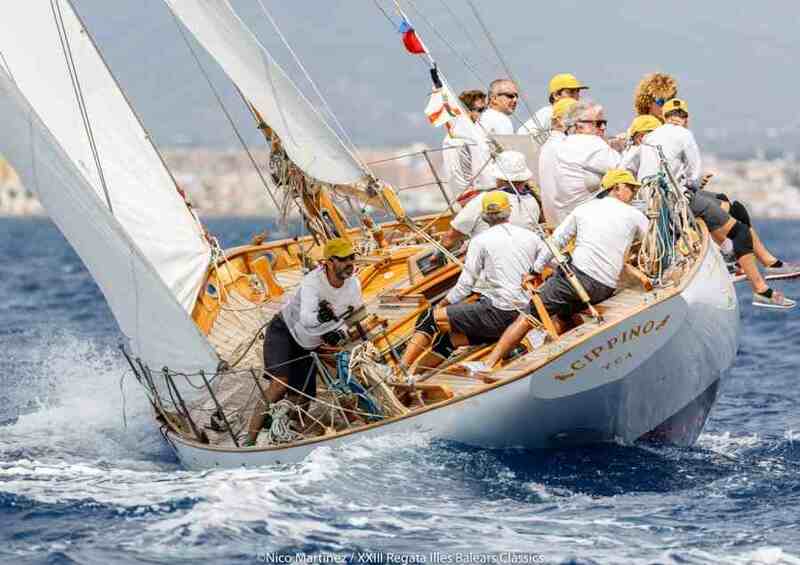 She has also sailed in the Adriatic and taken part in regattas such as the Pesaro-Rovigno-Pesaro, the Transadriatica (2003) and the Settimana Velica di Trieste (2005). 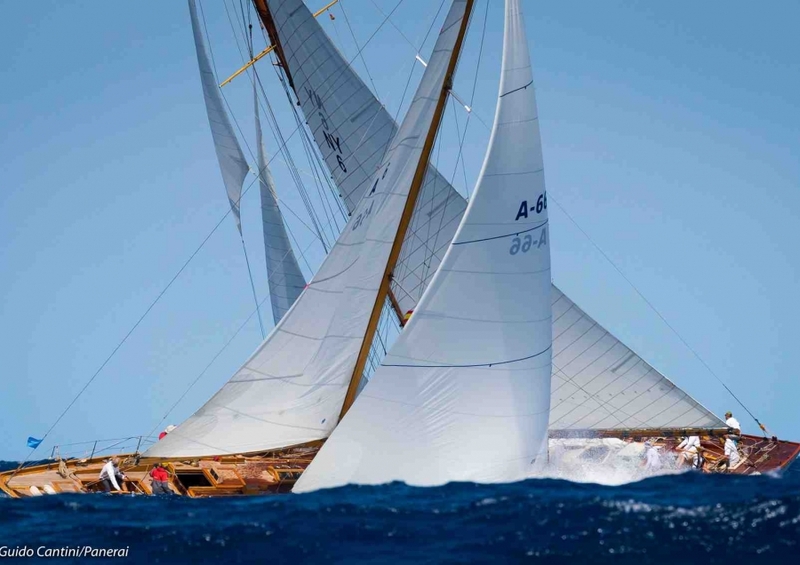 In 2011 she finished first in her class in the Racing Division at Les Voiles d’Antibes and 13th in the Giraglia. In August the same year, she also won the Atlantic Trophée, a 1,250-mile race between Horta (the Azores) and Douarnenez (France) as well as Les Régates du Crouesty. 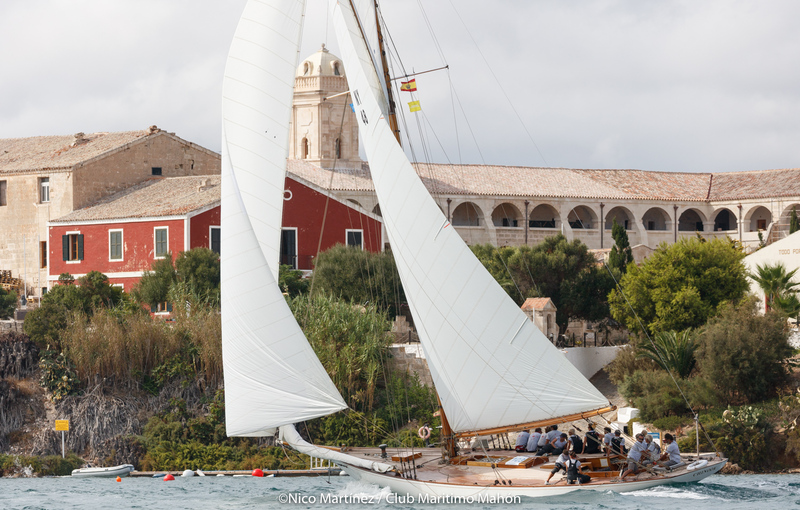 Her Paduan owner Vittorio Cavazzana takes around 40 sailing trainees aboard her each year. 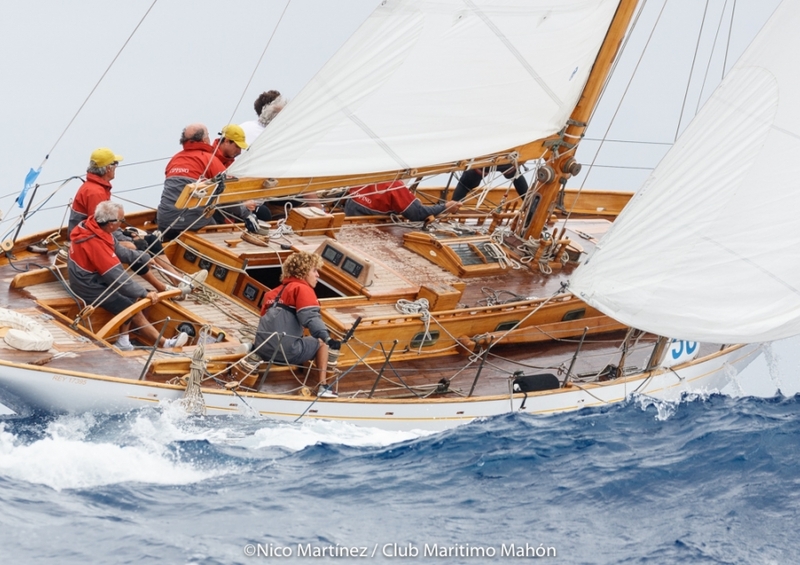 This wooden yacht was built to the IOR for a group of Barcelona businessmen and spent most of her time in the Mediterranean and Atlantic. 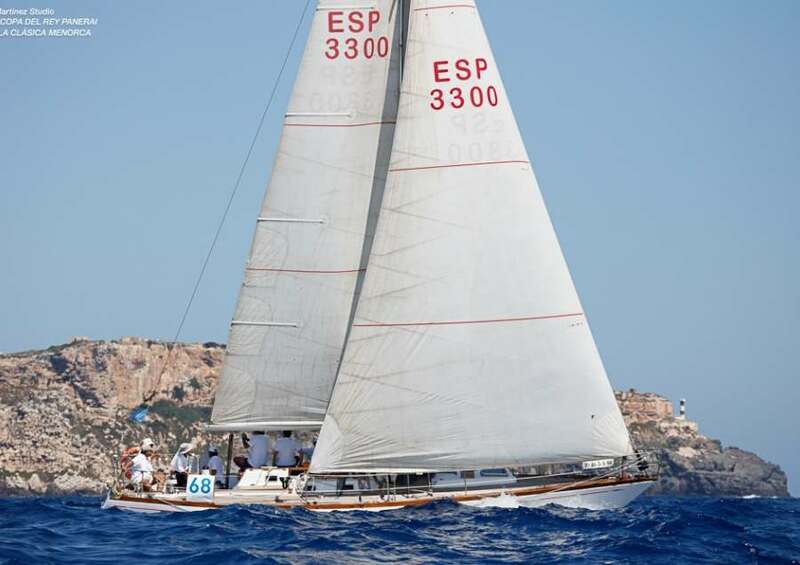 In 2003, her new owners, the Pella brothers of Barcelona, treated her to major renovations that allowed her to participate in numerous veteran and classic boat rallies, in which she performed brilliantly. 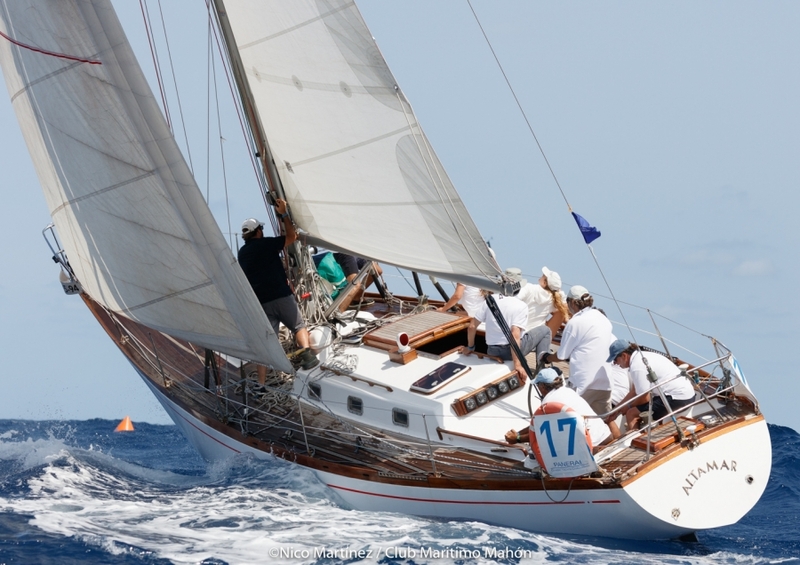 Galvana won her class at the 2005 Argentario Sailing Week and finished second the next year and third in 2007. 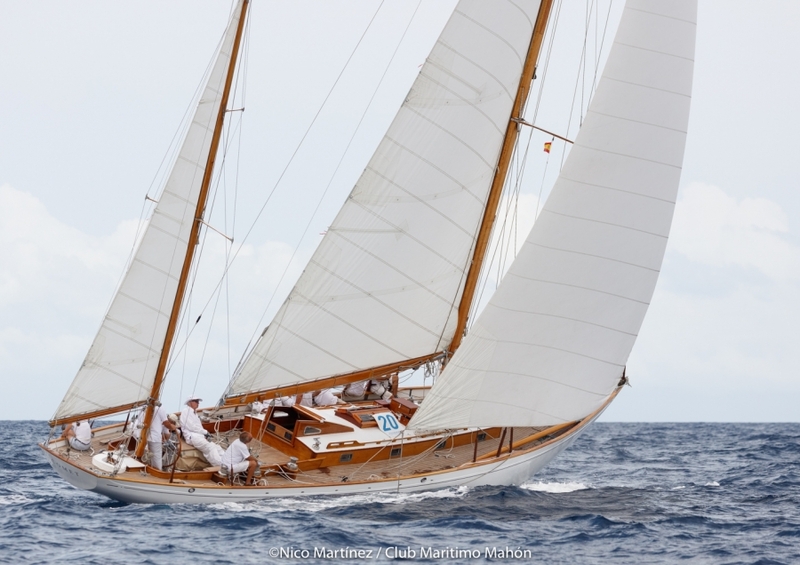 She won her class (Classic Marconi A) in the Les Voiles de Saint Tropez in 2008 and took overall victory in the Classic category at the Règates Royales de Cannes. Designed by architects Joubert and Nivelt, the hull of this unit is beautiful, with sleek and resolutely modern lines. 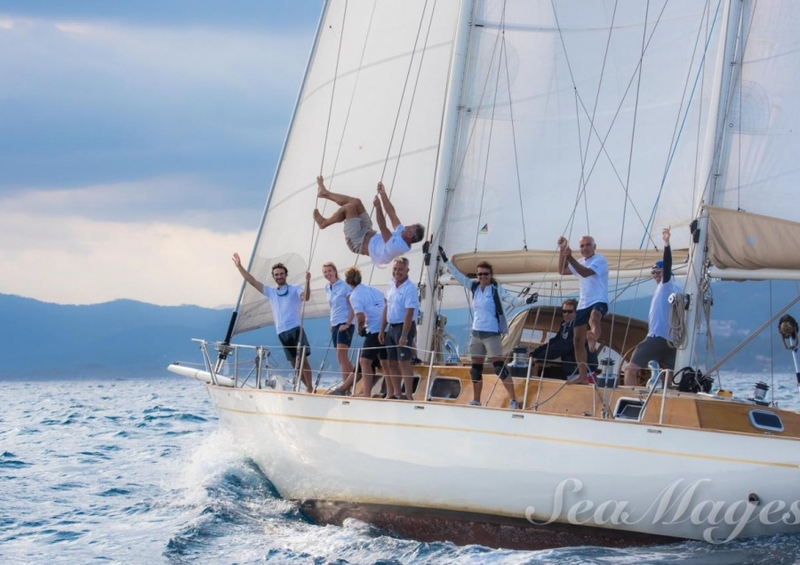 Equipped with a standard carbon mast, a lifting keel and a 14CH engine, the Tofinou 9.5 is a fast sailboat, with great stability and a smooth helm. 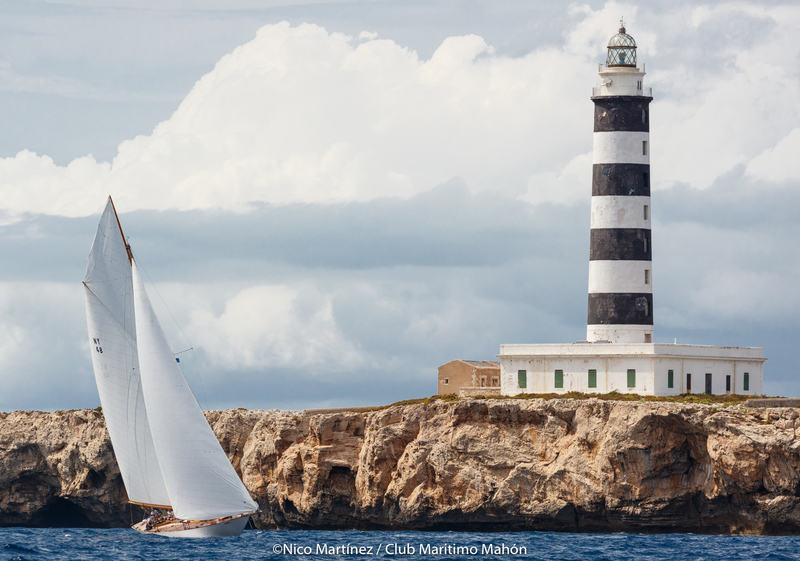 Thanks to its deep keel ending with a bulb, the boat remains stiff under sail and offers all the sensations of a large sailboat. 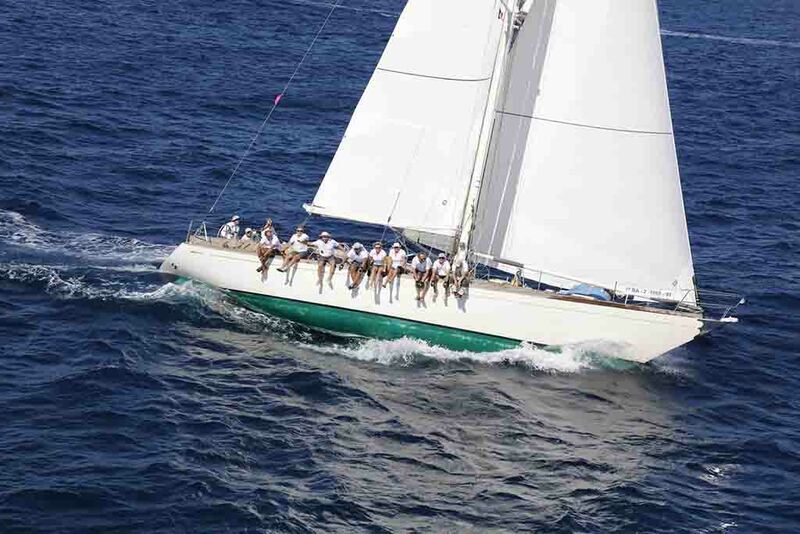 Commissioned in 1937 by Judge Lawrence Dunham, Skylark is a near- twin of Stormy Weather, another Sparkman & Stephens design. 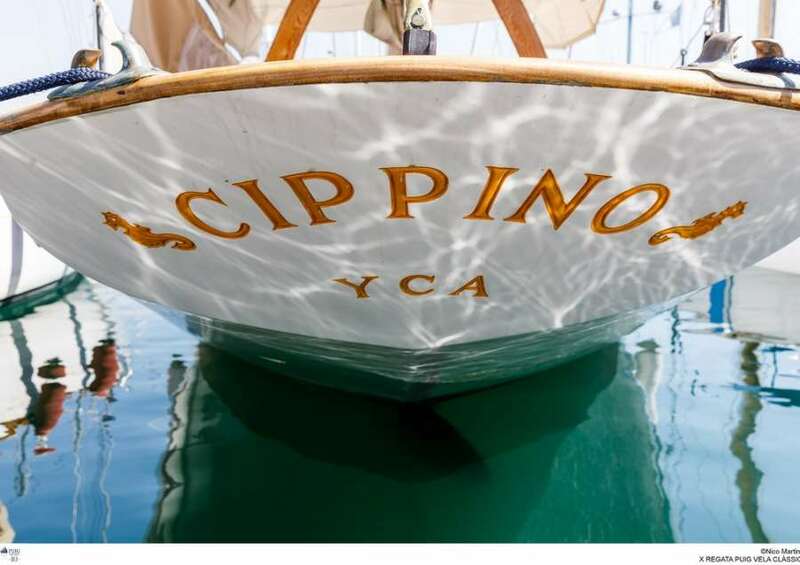 She was the official boat of the Los Angeles and Transpacific Yacht Clubs, and often competed against and beat Humphrey Bogart’s Santana in the Pacific. 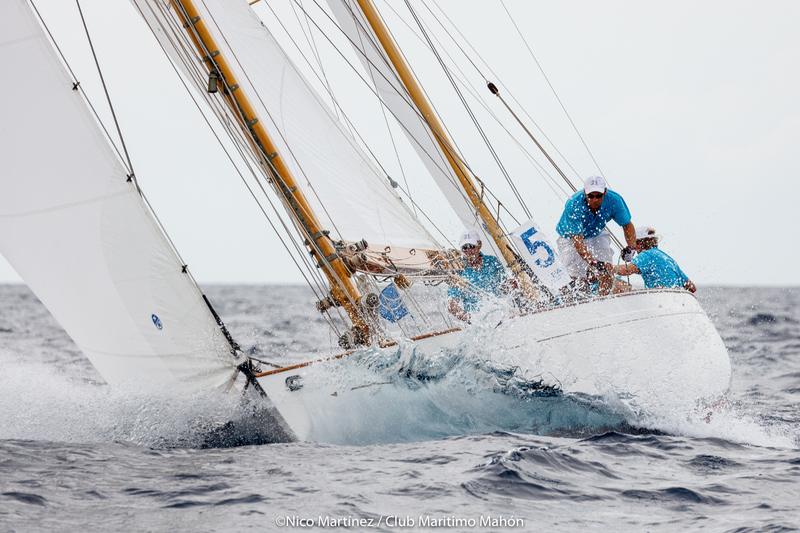 In 1950 and 1951, Skylark won the Newport-Ensenada, beating more than 130 other yachts on each occasion. 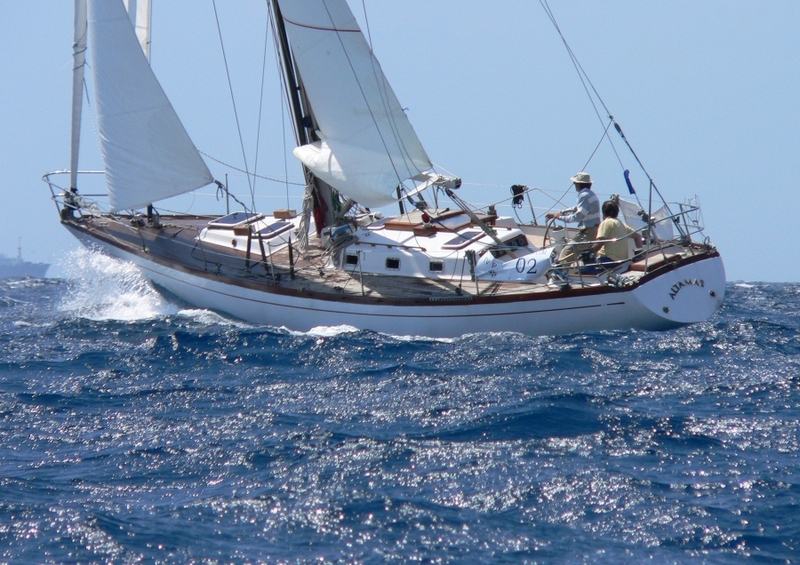 In 1972, she cast off from California on a round the world voyage of over 30,000 miles. She has spent quite some time in the Caribbean, Florida and the Bahamas. In 2003 and 2008, Skylark was restored at the East Passage Boatyard in Bristol (RI – USA). Since 2011, her new American owner has competed her in several Mediterranean regattas including Les Voiles de Saint Tropez (2011 and 2012), Cannes, Mahon and Ajaccio (2012). 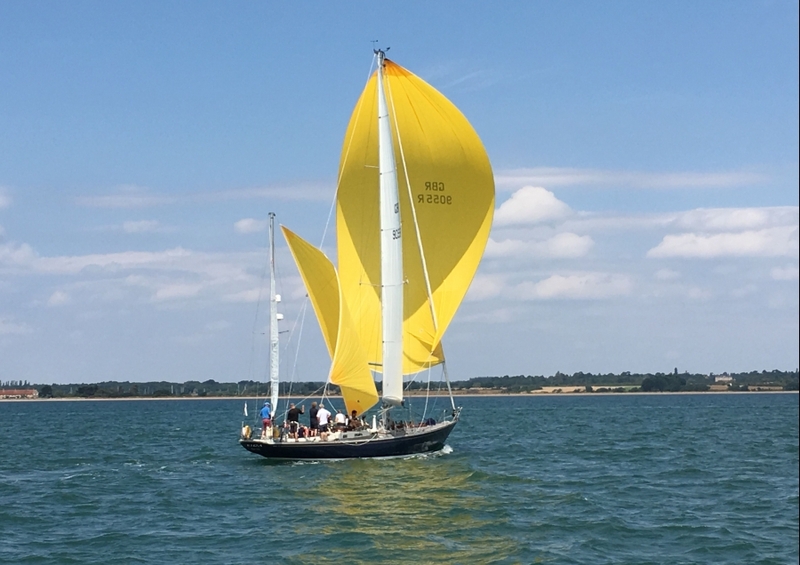 We see Kira as a little piece of sailing history, and we have trawled back through the decades to follow her progress from first build. 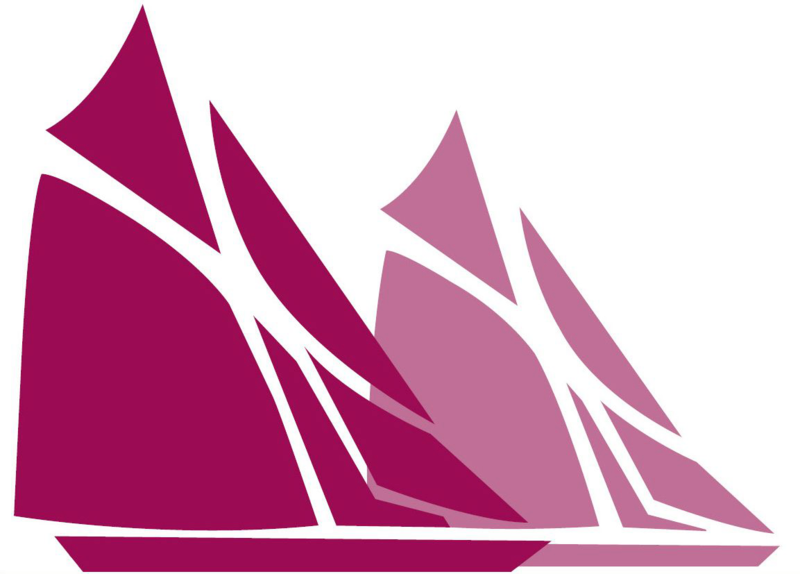 Kira’s first owner was Bob Stone, an American shipping industry executive and later to become Commodore of the New York Yacht Club. She was named Aquene (a native American name meaning ‘peace’). 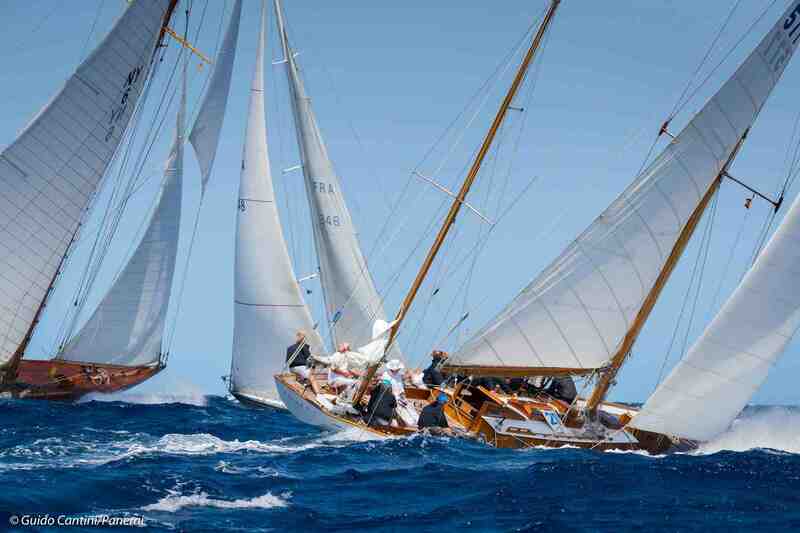 Mr Stone was an illustrious figure in sailing circles. He interrupted his Harvard studies to join the US Army in World War II. He served in the Philippines, overseeing landing craft operations and securing harbours. He told his family about how he was given the strange duty of caring for General Douglas MacArthur’s yacht in Sydney Harbour. 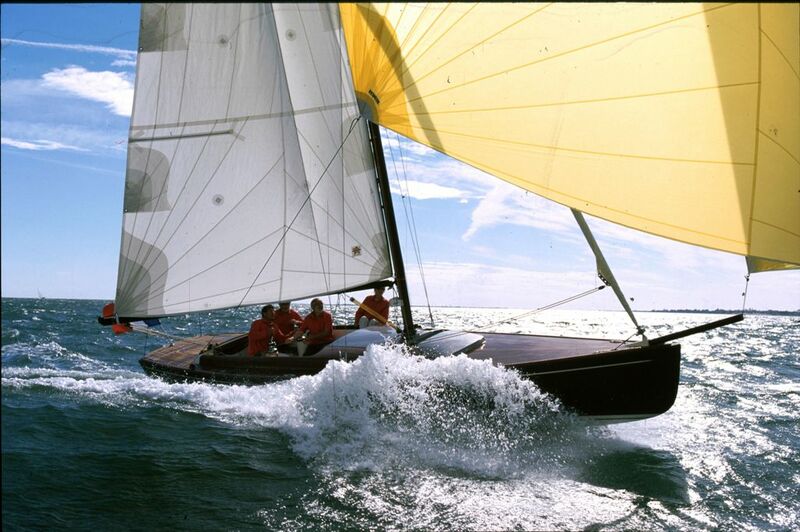 As Commodore of the New York Yacht Club in the early 1980s, Mr. Stone helped persuade the club’s officials not to sue their Australian rivals over the boat they built for the America’s Cup. When the United States lost to Australia in 1983 for the first time in more than 130 years, Robert Stone ”calmed the waters,” and helped ensure that the Americans accepted defeat gracefully. In the early 80s she was sold to Harry Johnson, a West Coast record producer. 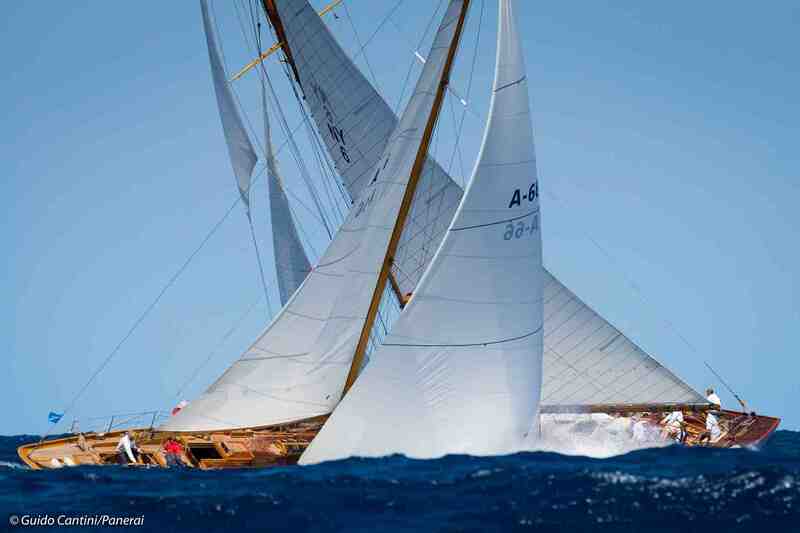 By this time her name was ‘Andiamo’, Italian for ‘Let’s go’! 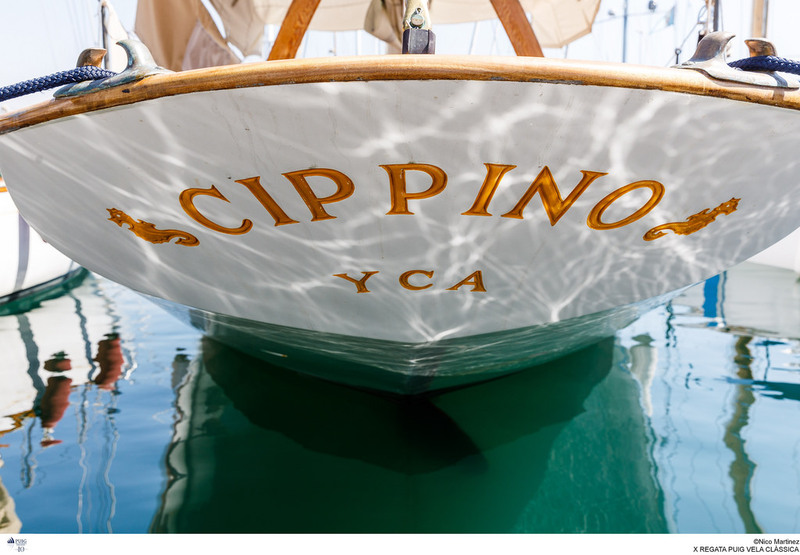 Her onboard parties in Sausolito became legendary. 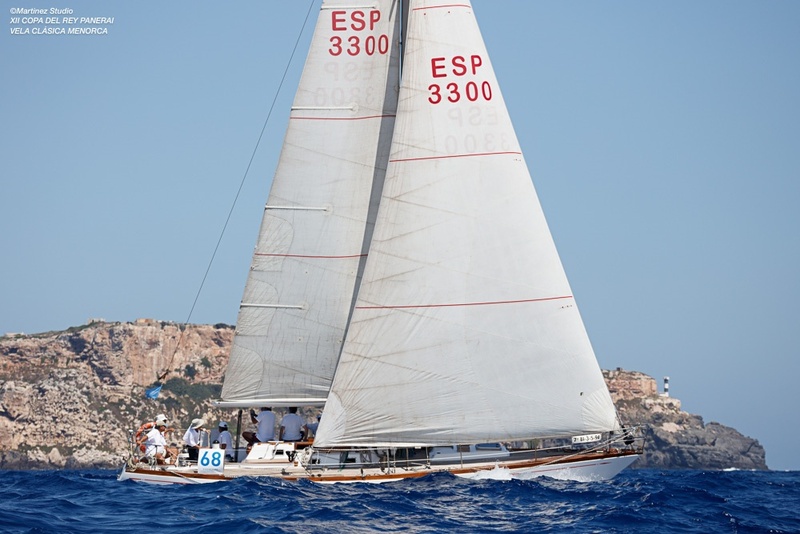 Owner number three was Lou Daley who bought her in 1988. 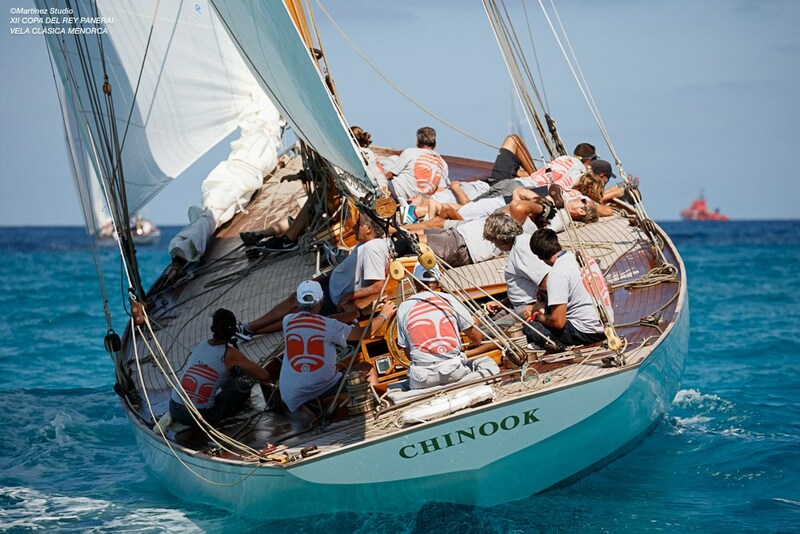 He shipped her from San Diego to Hong Kong where she underwent extensive refurbishment including a new teak deck, sanded and caulked by hand. While in Asia she visited the Philippines, Singapore, Malaysia and Thailand. 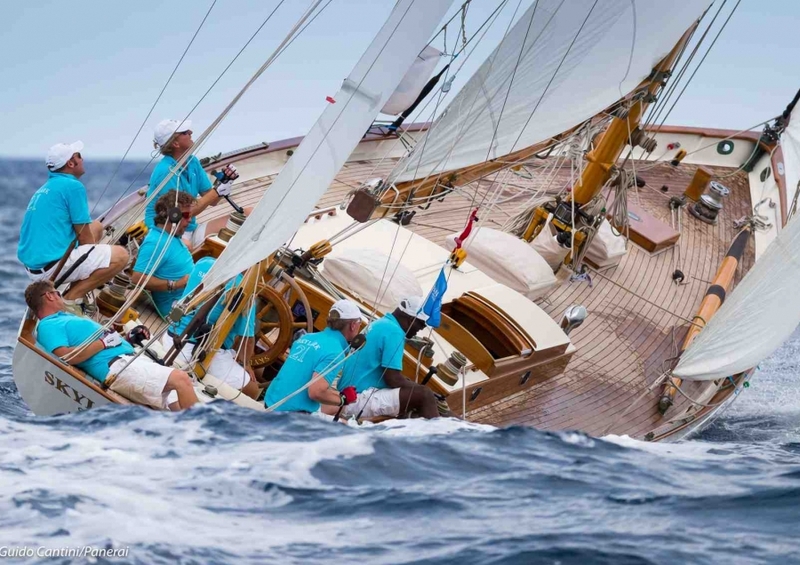 She competed in a number of China Sea Regattas and in the Kings Cup in Phuket, coming second in class in consecutive years.